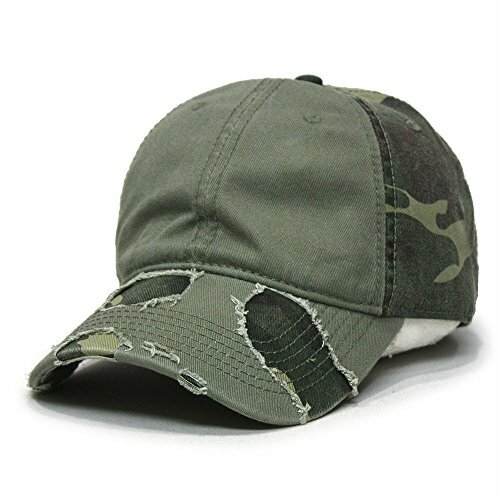 For those adventurous who are seeking ultimate protection while out camping, fishing or exploring, you ll find immense satisfaction in our Washed Twill Hunting Caps. 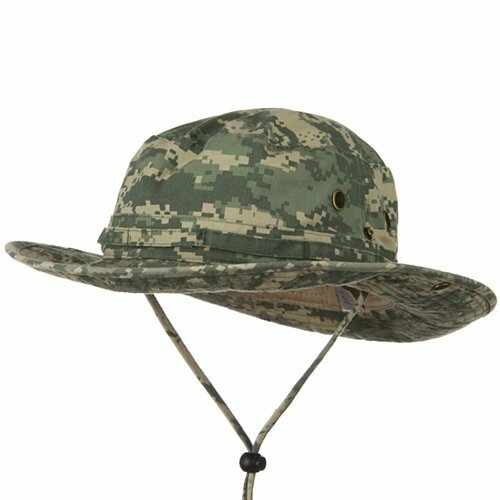 Made from a unique blend of polyester and cotton, this hat offer incredible protection for any type of weather or activity. 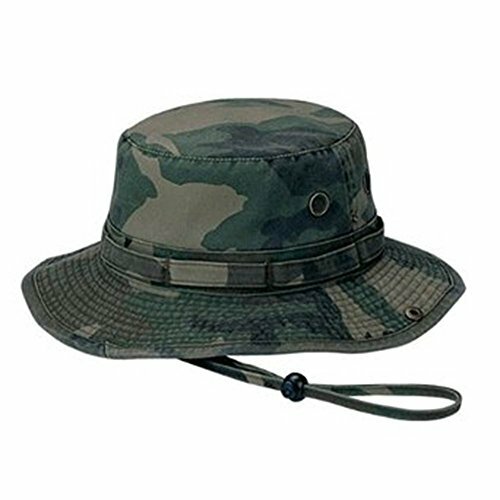 Featuring a traditional camouflage pattern over all, this hat boasts a wide 2 ? inch brim and 3 ? inch high crown with a bullet belt wrapping around the entire cap. For added comfortable and durability, our hat also sports ventilation holes on the crown to promote circulation and an adjustable fabric chin cord, allows you to choose the perfect fit for your comfort. Fully flexible, this hat is great to fold up and throw in you bag regardless of what quest you may be venturing on. Made of 40% Polyester, 60% Cotton. Brim measures 2 1/2 inch Wide, Crown measures 3 1/4 inch High. Bullet Belt and Self Fabric Chin Cord. Imported. Available in size M, L, XL, XXL, XXXL. Available in 10 color and patterns: Sky Blue, Olive, Black, Camouflage, Desert Navy, Safari, Beige, City and Khaki. 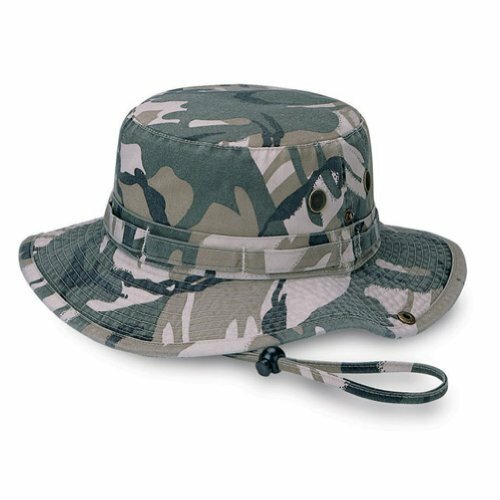 For those adventurous who are seeking ultimate protection while out camping, fishing or exploring, you'll find immense satisfaction in our Digital Camo Camouflaged Twill Washed Hunting Hats. Made from a cotton, this hat offer incredible protection for any type of weather or activity. 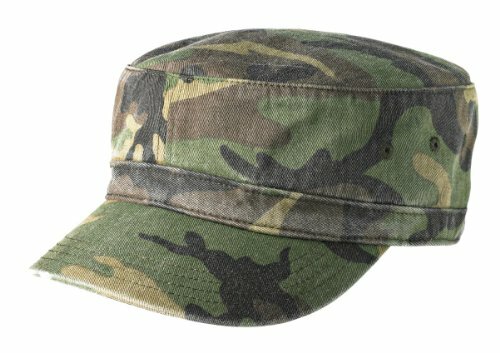 Featuring a traditional camouflage pattern over all, this hat boasts a wide 2 1/2 inches brim and 4 inches high crown with a bullet belt wrapping around the entire cap. For added comfortable and durability, our hat also sports ventilation holes on the crown to promote circulation and an adjustable fabric chin cord, allows you to choose the perfect fit for your comfort. Fully flexible, this hat is great to fold up and throw in you bag regardless of what quest you may be venturing on. Made of 100% Cotton. M, L, XL, 2XL and 3XL are available. Crown measures 4 inches deep. 3 inches wide. Features Bullet Belt and Self Fabric Chin Cord. Hand washable. Available in 11 color and patterns: Digital Camo, Sky Blue, Olive, Black, Camouflage, Desert Navy, Safari, Beige, City and Khaki. Imported. 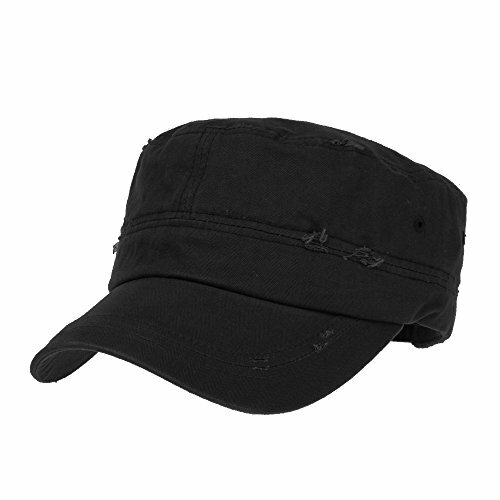 This Enzyme Cotton Twill Army Cap adds flair to any look and works great on everyone! Made of 100% cotton, this hat is every bit as comfy as it looks. The pre-washed cotton has an already worn-in feel. The back adjusts with a Velcro tab closure. One size fits most. [STYLING] Men chinos joggers casual pants with drop crotch and slim fit relaxed styling. 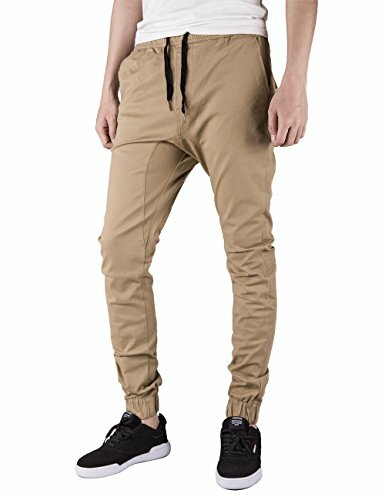 Khakis harem sweatpants for mens,Perfect skinny design, soft and comfortable cotton fabric selection, 98% cotton,2% spandex, High quality Stretched twill fabric. Elastic waistband with string, Easier to wearing and more comfortable. For spring summer autumn and winter four seasons. Italy Morn brand trousers. [COLORS] We have many colors for this item: Black Khaki Navy Blue Olive Green Army Green Burgundy Maroon Brown Coffee Camo Light Grey Dark Grey Rust Sky Blue Pale Green, Each color is carefully chosen color, There is always have a color for you. [MODEL] Tall: 183CM, Weight:70KG ,Wear Size M. [DETAILS] Small leather label above right back pocket, left back pocket with flap and button for more easier carry wallet. Garment washed enhances soft hand feel. Preshrunk is done. [FUNCTION] And elastic leg opening, More comfortable and convenience for sports. This item is suitable for following sports: Jogging, Basketball, Skating, Biker, Hip hop, Dance, Travel, Weekend and Casual pants for normal days. [MORE DETAILS] Italy Morn logo printed in the pockets fabric with 100% cotton. [WASHING NOTE] Please wash inside out, Machine wash cold. Do not bleach, Tumble drylow, Warm iron if needed. Bedeck your head with premium headware in classic army style. Its time you were told. You dont have to sign up to get that hip military look so popular today. 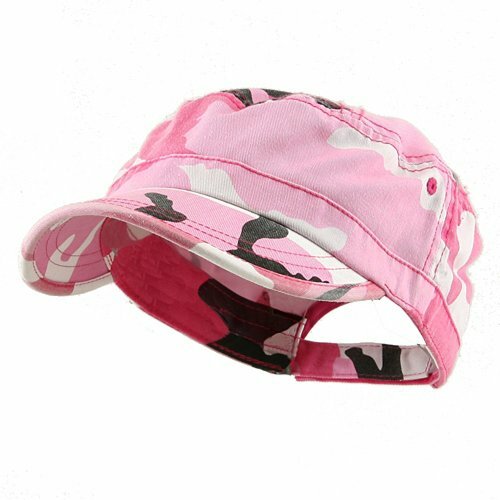 Youll find the perfect blend of army style with urban flare in our Camouflage Pink Army cap. Made from 100% cotton, this plush and soft hot pink patterned hat features 2 ½ roomy crown and a 2 ½ long faded bill, to give it that worn and washed out look. Designed to fit almost any head, this hat also has an adjustable strap tab in the back, just in case you need a little extra room, and perhaps to give it a more snug appearance. Whether youre head is shaved or not, this look is one that will have them staring in attention! Made of 100 % Cotton. One size fits most with Adjustable Strap Closure(upto 7 3/8). Front bill measures 2 1/2" long. Faded Out Look. Crown measures 2 1/2" High. Same Color Under Bill. Soft Material Hand wash only. Imported. Available in 7 colors: Camo. City, Digital Camo, Lilac, New Desert, Pink and Sky Blue. 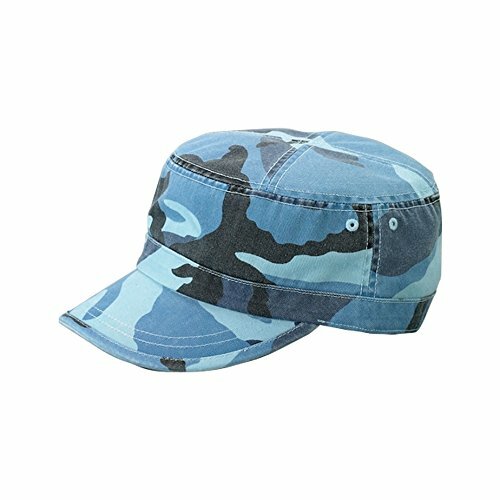 WITHMOONS Cadet Cap Camouflage Twill Cotton Distressed Washed HatHerringbone light weight cotton fabricNicely finished single liningAdjustable strap100% CottonMaterial: 100% Cotton Color Disclaimer: Due to monitor settings and monitor pixel definition, the color seen may be slightly different from the actual color. 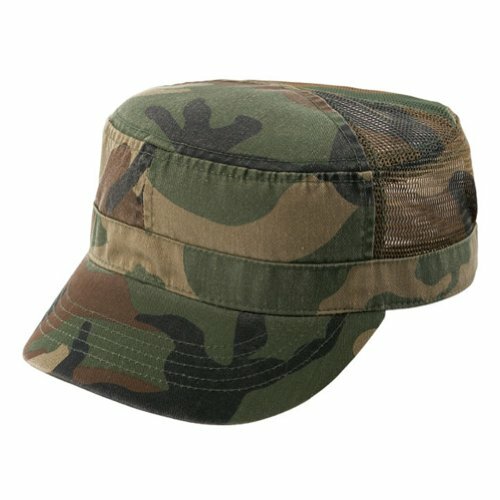 Copyright © Wholesalion.com 2019 - The Best Prices On Washed Twill Camo Online.